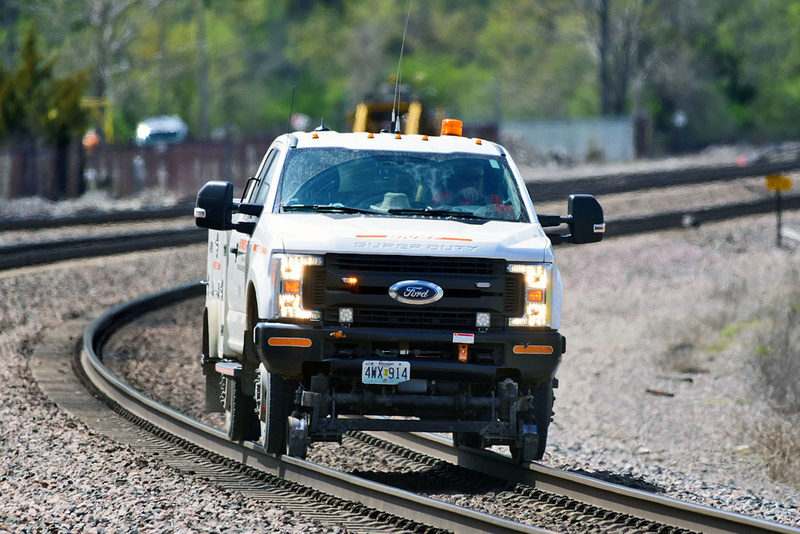 A BNSF track inspector occupies Main 1 during a work window. @GiorgioIannelli Thanks! US railroads have lots of territory to cover, so these bi-modal trucks are essential inspection tools.